Much like Johnny Cash and Pete Seeger have weaved American tales of travel and protest song into the world’s sub-conscious, Manitoba folk musician Del Barber has done the same for Western Canada. One needs to look no further than Barber’s newest record, the appropriately titled Prairieography, for proof. The common thread running throughout Prairieography, Barber’s fourth record, is one of geography. A collection of songs that focused upon the make-up of the Canadian landscape, Barber’s observations on Canadian rural and urban life are intertwined with an enthralling style of storytelling. He says that although his home province of Manitoba is geographically separated from the Maritime provinces, both regions boast a connection to rural Canada. Barber says that those who reside outside of each of those regions have made generalizations about the provinces based upon shared knowledge of a specific city when in fact the landscape and the people are different as you travel from place to place. Somewhat ironically, home is a place that Barber may need to reacquaint himself with soon. Since his last visit to Moncton in May 2014, Barber has travelled the world, spending eight weeks touring Australia while also logging arguably countless kilometers on Canadian highways as well. Barber’s tireless work ethic no doubt played a part in Prairieography having secured a Juno Award nomination in the category of Solo Roots & Traditional Album of the Year. Just because this is the second time that he has been nominated for a Juno Award, it doesn’t make the acknowledgement any less special. “It’s an honour for me to represent Western Canada, which I feel is occasionally under-represented on the national stage. 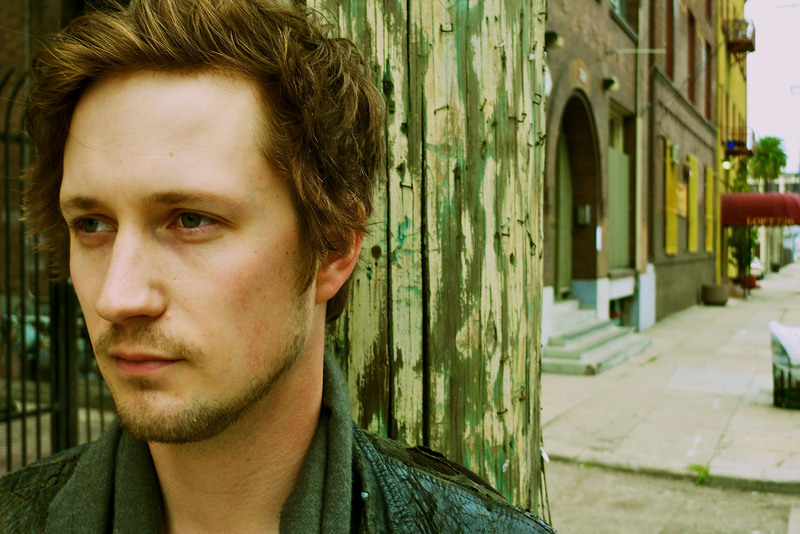 I am incredibly proud of the Juno nomination and will make no bones about it,” he says. “As an artist, you always kind of hope for these things but when they finally happen, I find you can feel small in the bigger picture of things. Looking back upon his career to date, Barber acknowledges that it has been a steady and at times slow climb, albeit not without its rewards. “It does feel like a bit of a slow climb sometimes but these days, the wheels are spinning a bit faster. We are covering more ground and playing in front of more people. It could all dry up tomorrow but for me, it goes beyond playing on stage. Having the chance to meet people across the country and hear where they are from and really develop a relationship with those coming to see the show. “The public is bombarded with all this information about how the music industry is suffering and whatnot, but from my perspective, things are going well. Every day, I get to meet amazing people, celebrate Canadian life and play music. I guess it all depends on how you define success,” Barber says. Barber says that while farming and music do not have much in common on the surface, he says that it takes a person in either industry an undetermined amount of time to develop a good business. Barber knows this firsthand. He and his partner purchased a home approximately one mile from his family’s farm where they routinely lend a hand with the many responsibilities that go with maintaining a farming operation. With a performance at the influential South By Southwest Music Festival slated for mid-March, Barber is, unsurprisingly, not expecting to become the next big thing in music. As long as he is able to hoist the Canadian flag high, no matter where he travels in the world, he will be happy. “In some respects, Canadian artists have had to play second fiddle to Americans. But I think that weakness allows for better songs and, ultimately, better artists. People all over the world are referencing Canadian songwriters, both new and old. The meekness we have towards our contributions to music is definitely a distinctly Canadian trait,” Barber says. When: Tuesday Feb. 24, 9:00 p.m.